And now another great moment in Russian Propaganda…. The information the center received from local residents suggests more than a hundred Jabhat al-Nusra terrorists arrived in the township of Kafr Hamra from the Turkish territory. Besides, several trucks loaded with improvised explosive devices, which are stuffed with chlorine-based poisonous chemicals, arrived in an area controlled by al-Nusra north of Aleppo from Idlib Governorate. A serious allegation. Not quite as serious as the reality of Russia’s ally, the Assad regime, using chemical weapons from early 2013 or killing more than 1,400 civilians with sarin near Damascus in August 2013 or continuing to use chlorine gas after that. But still serious. Ah, three trucks loaded with “poisonous chemicals” on a non-descript road. Pretty conclusive evidence. 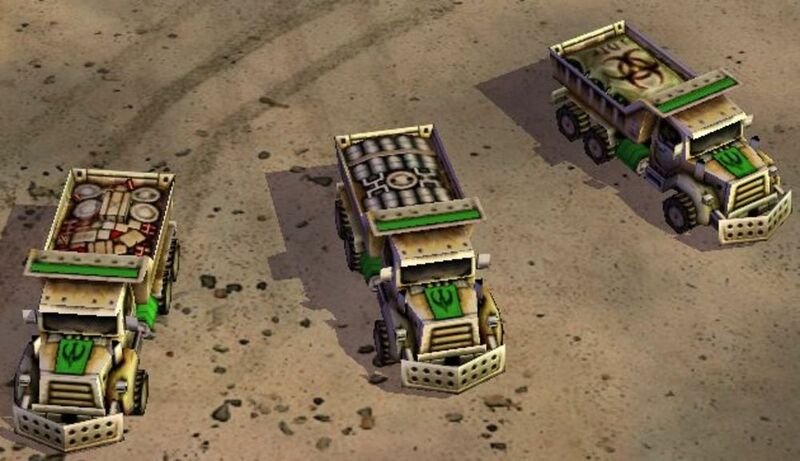 Except the image is familiar — especially if you play Command and Conquer Generals 2. That’s right. To “prove” the allegation that they have spread for years — in large part to get the Assad regime off the hook for the real, non-screenshot use of chemical weapons — Russian officials reached for a screenshot from a video game. Not an image of a truck with poisonous chemicals. Not an image of a truck in Syria. Not even a real truck, with or without terrorists. To be fair, the Embassy added the note, “Image used for illustration purposes only”. Which is reassuring, I guess, that Russian officials do not actually believe their spare-time gaming is actually the Syrian conflict. And just to reassure you — since there is no “Image for illustration purposes only” — the Russians have not discovered a real Nazi Zombie Invasion. Instead, they took advantage of their viewing of the “2009 Norwegian zombie splatter film”, Dead Snow.